My church is getting ready for a Community Bible Experience, where we are all going to be reading through the New Testament over a period of eight weeks. We're spending a couple of months gearing up for that as well, with sermons about how to hear God speaking through His Word and similar types of conversations. Today, we heard about the things that keep us from engaging with the Bible. 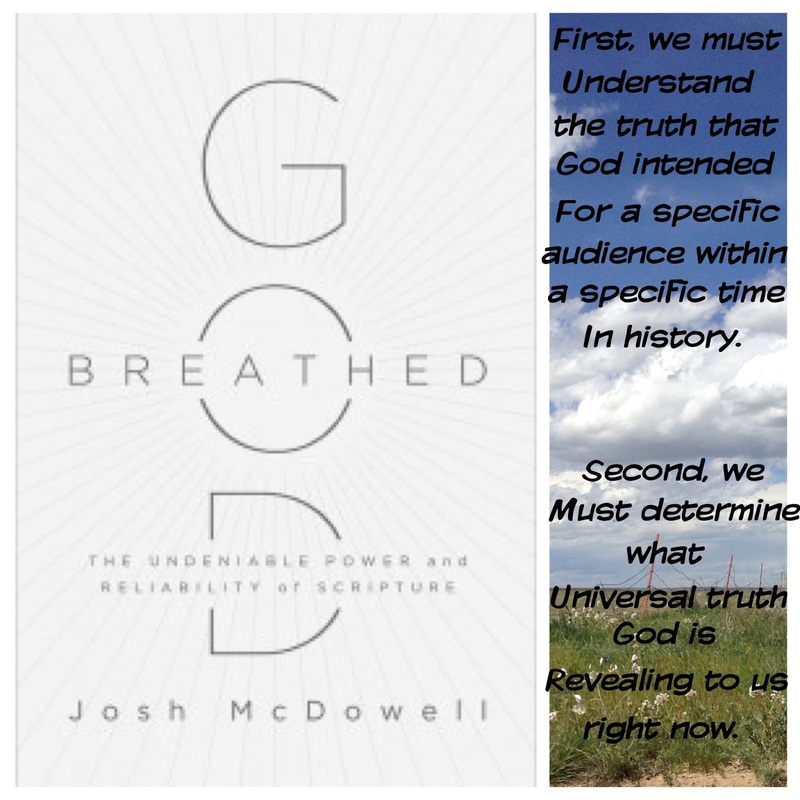 What really struck me as I listened to the sermon was how the book God Breathed by Josh McDowell seemed tailor-made to prepare me for the sermon today. Especially the first part on the power of Scripture. Experience God's Word in a powerful new way! Through the story of a centuries-old Torah and other scriptural artifacts he's acquired, McDowell highlights the Bible's unique history. Learn how these writings were made, what makes an ancient document reliable, and why the Bible is the most trusted. Includes color photos of McDowell's biblical manuscripts. "God said, ’Let there be. . .’ " And when God spoke, things happened. Recapture the awe, the mystery, the passion and power of scripture in God-Breathed—where you’ll personally experience a life transformed by the One who spoke everything into existence, including you. This book is very easy to read and understand. I expected something a bit more academic, but found this enjoyable. And the timing just could not be better. As we get ready to go fairly quickly through the New Testament, it is nice to get yet another reminder that this is God's word. Scripture is reliable, and can be tested. That and more is discussed in the second part, on the Reliability of Scripture. I really love the idea of having my teens read this book. I have a $10 Family Christian Appreciation Certificate to give away! You can use that towards the purchase of God Breathed, or anything else you wish.